Last month Cameroonians discovered that they could use Browserling to easily bypass government censorship and get back online and use social media websites. I did a write-up about it in my previous blog post. TLDR: Government of Cameroon blocked Internet access to two English-speaking regions of Cameroon. A local tech leader and my blog reader, Godwill Tetah, asked me to build a custom version of Browserling for Cameroon so that they could use social media and get back online. I created a service called "go237.com" and offered it completely free to people from Cameroon so that they can use Twitter, Facebook or and any other blocked resources. Today I heard from Godwill and my other new Cameroonian friends that the government has lifted the censorship and they have full access to all websites. I'm happy I was able to help Cameroonians at least a little bit to restore their Internet freedom. 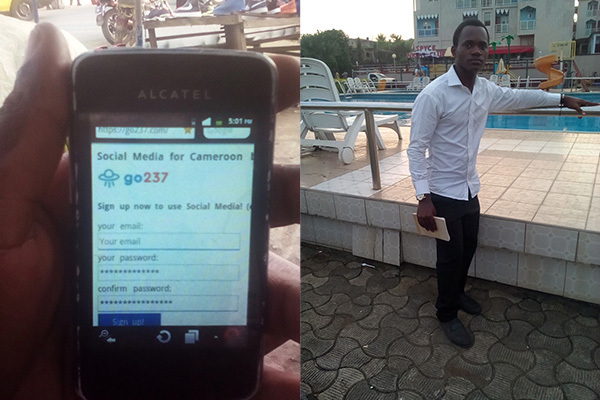 Go237 service and Godwill Tetah, local Cameroon tech leader. Why does Browserling's comic have 10 different formats?